Our Solar Flagpole Lights will exceed your expectations. We at Tuff Flags offer a wide range of commercial quality solar lights to meet your needs. Our high quality solar lights are easy and quick to install without running messy wires, adding circuits, or trenching. We offer many types of lights varying in mounting styles and power levels along with many extra features such as extended arms, flexible arms, CREE chips etc. Even when bulbs, circuits, and batteries finally need replacing, will will either send the component to you or send us the lighting component and we'll replace it, EASY! If you would like to discuss the best light for your application, let us assist. 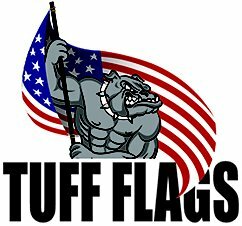 Call (888) 287-3524, chat with us on LIVE CHAT, or email us at customercare@tuffflags.com. 100% Customer Satisfaction Guaranteed. 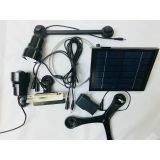 CLICK HERE for our Complete Line of Solar Powered Lighting Products!! Installation of lighting often frightens flagpole owners away from electrical lighting. On the other hand, solar lighting receives a bad reputation from solar products commonly sold in Big Box Stores. We strive to offer the best and most reliable solar flagpole lighting available. Once you own the light, we are there for you if you experience component malfunctions or something needs replacing. We have batteries, CREE chips, thumb screws, extensions available if you ever have an issue. 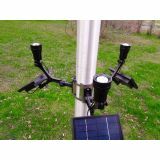 Our solar flagpole lights are time tested and reliable. While most of our lights are intended for commercial use, we offer some lower end or commercial starter lights if you would like to try solar lighting less expensively or on a residential pole. Try Solar! It's eco-friendly, easy to install, inexpensive, and easy to maintain for many years. Would you like help deciding on the best solar light for your flag pole? Please allow us to help. 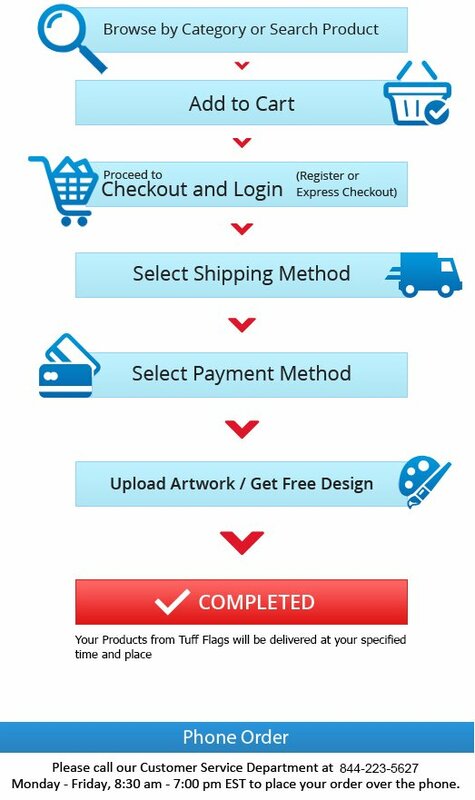 Call us at (888) 287-3524, email us at customercare@tuffflags.com, or chat with us using live chat on tuffflags.com.